For a lot of people who come to the site, off-grid living is something they’ve been dreaming about for as long as they can remember. Unfortunately, the dream of living off the grid is something that sometimes causes them to overlook the many challenges associated with the lifestyle. Living off the grid often means living on a rural property, and living in rural areas presents a number of safety issues that you must be aware of before choosing a property. When it comes to finding the perfect piece of land to build your off-grid paradise, there are some things that you should keep in mind. You must consider emergency situations and access to emergency services. While many people think living in a rural environment is safer than living in the big city, there are a number of safety considerations that you need to keep in mind. How far is the nearest level one trauma center? A lot of bad things can happen when living in a rural environment. From accidents when cutting wood or working on your land, to everyday emergency situations that can happen no matter where you live, you need to consider how far away the nearest emergency room is, and what types of emergencies they can handle. Do you have medical issues that require regular care? If you have any medical problems that require you to see a doctor on a regular basis, you need to seriously consider what type of healthcare facilities are in the immediate area. Make sure you thoroughly research the hospitals and the doctors who will be treating you. What emergency services are in the immediate area? Before picking any piece property, you need to take the time to find out where the nearest emergency services are in the community. 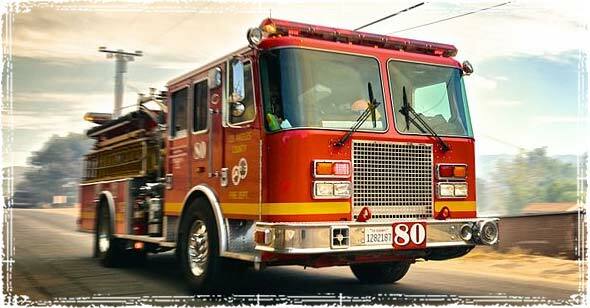 Find out if there’s a local fire department, police department, and emergency response teams. Are they volunteers, or are they trained professionals? Find out how long it takes for first responders to get to your property. Find out what emergency plans first responders have in place to deal with disasters and medical emergencies. You need to consider rural crime and violence. One of the biggest reasons for moving out to the country is to escape the crime and chaos that usually runs rampant in major cities. While most people believe rural areas are safer, there is a growing number of criminal organizations and gangs moving into these rural areas to escape the eyes of law enforcement. Look at local crime stats before making your decision on a community. Talk to your potential neighbors and ask locals about problems in the area. Drugs like meth have become a serious problem in rural communities throughout the United States. Look into local drug stats, and do research online to see what actually going on in the community. Jump on social media and see what the locals are talking about. Before buying any piece of property, make sure you check the area out at night. Watch the people, find out what they’re doing, and see if anything looks out of the ordinary. Just because something looks peaceful during the day, doesn’t mean it’s going to stay that way when the sun goes down. You need to consider future development and potential localized hazards. The property you’re looking at might be in the middle of nowhere now, but 20 years from now that quaint, peaceful town might be the new center of industry. The last thing you want to do is buy a piece of property and have some industrial factory or prison pop up next door. Check the local zoning codes and makes sure the property is only zoned for residential purposes. If there is industrial zoning in the area, be aware that you may encounter problems in the future. Check to see if there are official building plans. Check with the local municipality to see if there are plans for future development in the area. Find out what types of businesses the area allows. Are there industrial plants? What types of chemicals are allowed to be stored at these local businesses? What plans are in place for emergencies caused by these businesses? 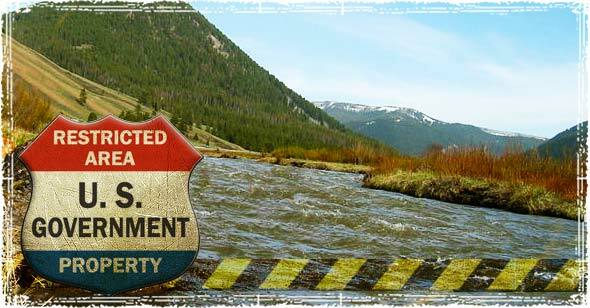 When buying land that sits near waterways, make sure you find out what lies upstream. 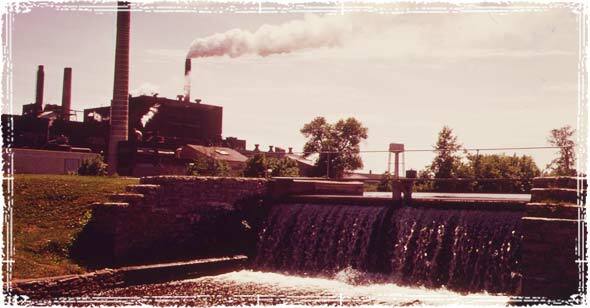 Are there old mines or industrial factories along the waterway? Anything bad that happens upstream will eventually affect you and your land. You need to perform a threat assessment on the area. Part of actually being prepared for future problems means knowing exactly what threats you’re facing, and then analyzing how those threats will affect you. Find out what disasters have happened in the past. Look through the areas historical data to find past disasters that occurred in the area; this information can help determine what threats are most likely and how the community responded to those threats. Find out if the property sits in a floodplain. The local municipality should have detailed maps of the area; these maps can help determine whether or not your property sits in a floodplain. Make sure you look for things like local levees and dams, which could become a problem in the future if they fail. Think about how you will defend the land. 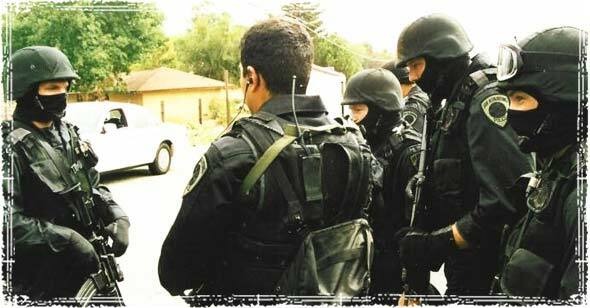 During times of crisis how easy is it to defend your land from criminals and attacks. Would your future home be concealed from outsiders? Is it away from main routes of travel and major highways? You need to understand any Zoning Issues: Protecting your Property from the Government. While zoning issues aren’t necessarily safety issues, they are something you need to keep in mind; they could someday become an issue that affects your ability to live and build on your property. Hire a surveyor: Unlike property in urban areas, rural plots are often irregular in size and shape. Make sure you know exactly what you’re buying, and take note of any existing survey flags when checking the property. Check the Topography: While your land may look like your dream piece of property, it’s important to survey the topography of the land carefully. Understand what type of soil is on your land, look for areas where water runs, search for signs of flooding, and make sure you know exactly where you can build on the land. Find out if the lot is buildable and if there are any existing restrictions on the size or type of buildings you can put on the land. Find out if the property is zoned; if it is, what it’s zoned for. Are there restrictions on what can be built, or what you can do on the land? Can you legally raise livestock, grow crops, build a pond, etc.the ? Are there environmental restrictions? Make sure you ask about environmental restrictions and ask about environmentally protected areas like wetlands that might be in the area. Make sure your not near Colorado or the south west. Unless you like yellow water. That’s actually a good example of understanding what’s upstream if you live near water,or how problems in surrounding communities can affect your land. That has it’s own unique challenges as well… I’ll add that to the list of future articles. I actually have 71 acres for sale in SW Colorado, near Durango. Fortunately, our water source flows from the side of the mountain, that was not affected by the EPA disaster. No yellow water there! Make certain that if you are near BLM land that they don’t have designs on the property. We read over and over where ranchers, farmers, seasonal land users, etc. lose their property at the whim of government and spend years in court to get their property returned, if ever. As noted in the article, access to medical resources in an emergency is important. And, it should be noted that you need to know not only how your land was used, but all lands adjacent, plus any lands whose watershed may flow to yours. You don’t need to be below a mine, old shutdown smelter, or somebody’s home made reservoir. Or, as seen recently, a EPA superfund site. Over all a good article. I have lived in a rural area my whole life and the information is accurate, except the part where you contrast the full time emergency services with those who are in a rural area. I was a fire chief and an EMT with a small county service and I can tell you that they were some of the most highly trained and experienced people I ever worked with. Most of the time they left their families and life to help those in off the grid far from city help situations. The definition of a trained professional is not where they draw their paycheck but what they are willing to do for others who can’t do for themselves. I apologize if it seemed like I was downing rural first responders and doctors. Some rural areas do have awesome systems in place, some that are far better than those in certain big cities. It really depends on the community in question, so I advise people to do their own research no matter where they are moving to. A lot of what I was talking about had to do with major injuries and medical problems that might require equipment that smaller rural communities can’t afford to put in their hospitals. That’s why I mentioned the distance of the nearest level one trauma center. no offense, but access to emergency services is a moot point if you look at situations of emergency within similar scope as Katrina.. maybe you will have access for a day or 2, but they won’t go into an area where they will get shot at for supplies, and after a few days the cops and firefighters will just stay home to save their own families. from my experiences with medical in the country—- in country- you are known as teh person, by name and your main dr. handles much more and takes time with you. vs. in the city- you are a number- ypou get a primary dr who hears your issue and then sends you off to a specialist for sniffles- for eye- for psych etc. country may not have all teh resources- but they can send you to teh city if need be…. it works– for you get healthy just to get back out to teh country!!! Very practical information. As usual I’ll add my two cents. A Real Estate Broker has access to a lot of information that can make your investigation less overwhelming. So you don’t overwhelm him make a checklist and present him with a copy. Include the amount you are willing to pay for the property at the top. Before purchasing any property always pay for an inspection. The last thing you need is some hidden nightmare in the plumbing, foundation, or to find out the place is contaminated with mold, lead, or asbestos. Check to see if there are plans to put public transit near your location. This can be a blessing, but it can also invite problems especially when you are attempting to put distance between yourself and desperate strangers after TSHTF. Greyhound as well as County Local Transit. For good measure, it’s good to know where and how far you are from the closest Taxi Service. Also good to know if there is a car rental service near. Obviously these are useful but they come with a double edged sword…particularly bus services. El Paso is on the military map for the 30 most likely Nuke targets. If you are east, you are in the south westerly drift zone…. I have been trying to stop the building of anything off the grid, we all should not allow this to happen. When hiking I really dislike private property signs. Let’s just go back to visit the off grid areas. Just another example of the narcissism infecting this country. Mistress Nirvana, you have said so much with perfect clarity! Stupid people say stupid things and yes I agree a complete idiot! I would dislike you walking on my property. 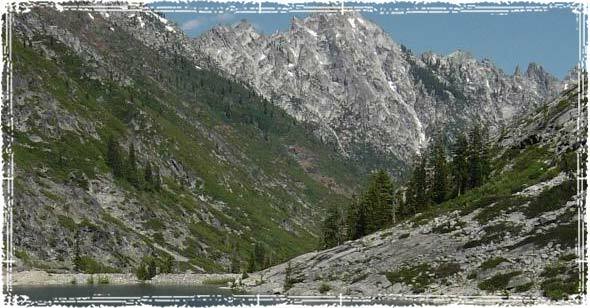 There are plenty of National and State Parks. Keep Out. I suppose you are right, we should ban front and back doors off our homes too and not allow anyone to own or protect there own property, because YOU don’t like when people are PLANNING and PROVIDING for there future when our government, other humans,or history repeats itself and the powers of the world want to fight and play chess with there military…. YOU are absolutely the most ignorant and uninformed person I’ve ever seen leave a comment. I moved from a suburban area to a somewhat rural area. We are several hundred miles fom my old neiborhood. We’re near a highway and not far from town. Got Walmart and all that. We got coyotes and at night between the dogs barking, the coyotes howling, the chickens squealing, the goats, the ants, spiders, and mice (quiet as a mouse – out here the little bastards make noise too). The squirrels and rabbits are fun to watch but they want to steal your food. We’ve got road runner birds a whole family of um. The night sky is studded with twinkles and the sunsets are spectacular. Some nights are quiet and peaceful. But when the animals aren’t keeping me awake, some bleepen stealth plane will fly overhead. So here I am putting in another comment after being awake all night. So much for country living. I’m not off the grid. Thank God. Well not until the EMP. Dude, my suggestion is EAR PLUGS for those with very sensitive hearing. Sorry. The only place for earplugs is at the range, or when in a hearing damage risk environment. Earplugs means you won’t hear your door getting kicked in, or the dog trying to warn you. It sounds like the wide open spaces of CO need some pre-dug holes and some quiet friends. I loved living in Denver/Aurora for 9 months of Lowry tech-training. Rented apt. , put lots of miles on the truck visiting scenic bits. Know the people at the County seat. Know your Sheriff and Deputies. The best way is to be a volunteer Deputy or Firefighter, or have at least one in your family. FEMA and EPA bad behavior is tough to fix from rural-remote land without big money. Your research will pay-off 100 to 1 before buying, compared to fighting after. Collapse early and beat the rush! My husband and I recently purchased our off grid property and safety was a major concern to us. We looked specifically for a large amount of tree cover, and a square property shape – several large enough tracts were very long and thin, or otherwise shaped so that the location of our home could be seen easily from other properties. We also looked for a property on the outside edge of those available, and not along a road travelled to other properties in our remote area. We looked for a cave and/or natural rock formations that would lend themselves to hiding if needed, and considered the approachability of our property from the valley. We also passed on properties close to electrical lines, both for health reasons and for the ease of others getting to us. We specifically wanted an area without a lot of code enforcement involvement as well, we have the construction background to build safely according to codes but wanted to minimize government involvement in the process. Also much of our infrastructure will be underground so searching for the right mountain property that allowed us to excavate was important also. I have a perfect survival site. See Zillow, Realtor.com for 5975 Jose Marti Drive, Naples, Fl. 34117. It is fenced 9 acres with a nice modern 4,100 sq.f. house, 2 car garage, private small pond for water, BORDERING the National Park with a lot of deer, pigs, rabbits, turkey, escargot; canals full of fish, turtles and ducks. Tropical fruit trees. Never COLD. Very secured but only 25 minutes to the Naples, FL. downtown. 9 miles to the closest plaza and gas station. $50k firm, I will hold mortgage if needed. You can live there, rent spaces, grow exotic trees. I actually already live rural. We are both disabled with limited income so purchasing our own land has been a pipe dream. One thing we have done is put up ads at the local grocery, and gas station that we are looking for an owner carry property and what we can afford per month. I have had 4 calls so far and we are considering our options. One thing you must consider when living rural is the wildlife danger to your family. I know it sounds like a nonissue, but for folks who have never lived rural it’s important. How will you protect your livestock from wolves, Cougars, bears and other less desirables? If you live in an area with sub zero temps in the winter how will you protect your livestock as well as your home from freezing? It’s a lot to consider. We moved from central California gang central and have learned the issues rural can bring, but my goodness it’s so nice to be able to walk out to my creek with shorts n a bra and go wet my head to cool off and nobody can see or bother us! Good luck y’all! Even if the area is ZONED in a particular way (our area was ZONED as “Residential” and “Agricultural”) the County Commissioners can impose “Zoning Overlays” and allow energyu industries to come into your area and build……let’s say……a 155 Turbine WIND FARM right on top of your house (on the neighbor’s land all around you – 50 story wind turbines – flashing red lights all night long and destroying the aesthetics of your once beautiful area) – Yes, it happened to us and I started a Property Rights Coalition to fight it and lost when the County became Co-defendants with Next Era Energy and stomped us down like trash. Good point on the challenges you face and the sacrifices you must make living in a remote area. When we were young my wife and I got a good deal on 20 acres not far from the CD in Montana. We do have electricity but it is often out of service(it’s gotten more reliable the last few years). We have a clean mountain stream running thru the yard so we are able to get water when the well pump doesn’t work cuz power is out. We raised our four children here, but it was not without its challenges and sacrifices. We are about 8 miles from the nearest village of around 800 people. We do have a small grocery and a gas station and a hardware store. We have a small clinic, but half the years we’ve been here it has been shut down because of funding and/or the lack of a doctor or PA willing to live here and work for a lot less than they can make in a bigger city. Any major shopping opportunities and most medical needs, etc are in the nearest city 70 miles away on the other side of the CD. The environmentalists have pretty much shut down most renewable resource jobs such as logging or mining, so there are very few opportunities to make a decent wage doing anything, while the cost of everything is inflated due to our remoteness. At times, just the cost of gas to go to the city can be a hardship. We heat the large log home we built entirely with wood; around 20 cord per year. When young, cutting and hauling that much wood was easy. Now I’m older and arthritic due to a lifetime of hard manual labor, and it is difficult some mornings just loading up the furnace. We had thought about this way back then when we jumped into this but reasoned that by the time we got old we would be able to afford to pay others to cut our wood, perform maintenance on the house and property, repair vehicles and equipment, etc. But guess what? We got old and we still cannot afford to. The Lord has always provided for our daily needs, but nothing extra each month to put into savings. Winter time is the toughest. Though we are only 4 miles from the highway, sometimes we are snowed in for days before the maintainer makes it up our low priority road, and sub-zero temps are hard on vehicles and equipment, and repairing them in such conditions is a challenge. Just getting the kids to the bus stop at the highway or all the way into town for school was a potential survival situation. One of our biggest expenses is gas and vehicle upkeep. When you live so far away from anywhere you burn lot’s of gas to go anywhere in the 4 wheel drive trucks we must have to be mobile, and the 4 miles of rough pothole-filled dirt road we live on is hell on vehicles. Has it been worth it? Yes – no regrets – we’d do it all over again. That being said, we don’t know how many more years we can do it. If this is the direction you want your life to go, then plan accordingly to make things as easy and efficient as possible for when you get old. We live on an island on the East coast with boat or plane being the only way on or off. Population is around 1k year round except for the tourism that brings it up to 3-4K in peace season. We have a sheriff dept, volunteer fire dept, 2 small grocery stores and small hardware store. In some ways I think we’re safer than most because of our being cut off from civilization in the event of tshtf. But there’s still people here and no where to bug out or hide out. I’m seriously wondering if we need to look for land inland. Any comments on our situation here?